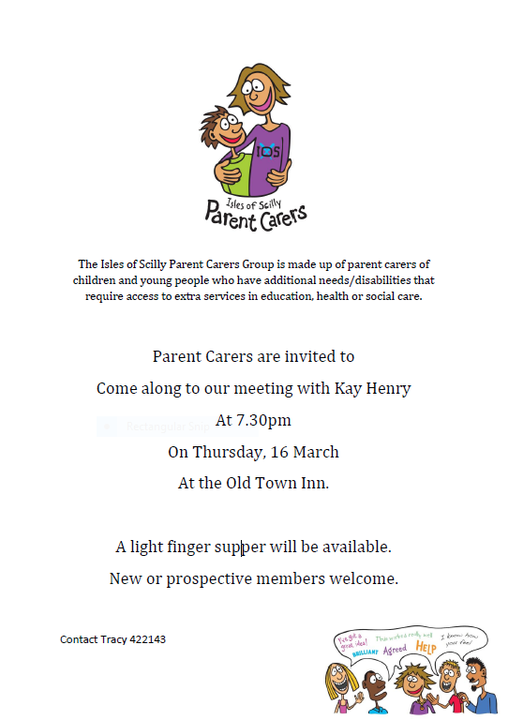 Parent Carers are invited to come along to our meeting with Kay Henry at 7.30pm on Thursday, 16 March At the Old Town Inn. A light finger supper will be available. New or prospective members welcome. The Isles of Scilly Parent Carers Group is made up of parent carers of children and young people who have additional needs/disabilities that require access to extra services in education, health or social care.